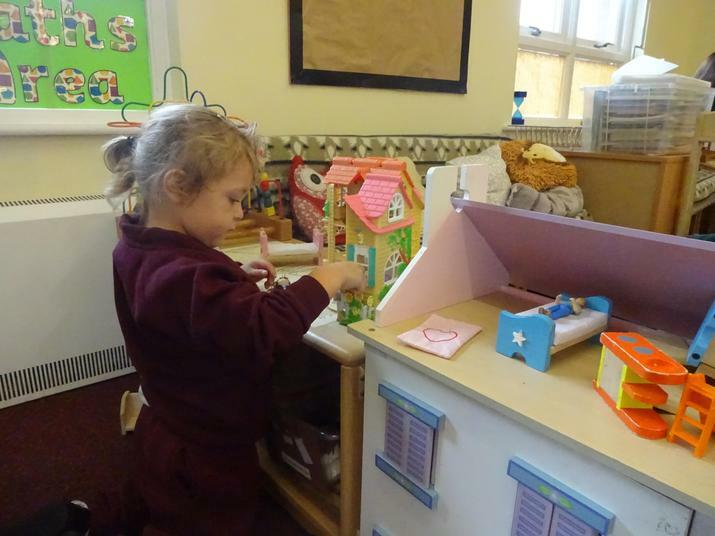 Hello and welcome to the Nursery. 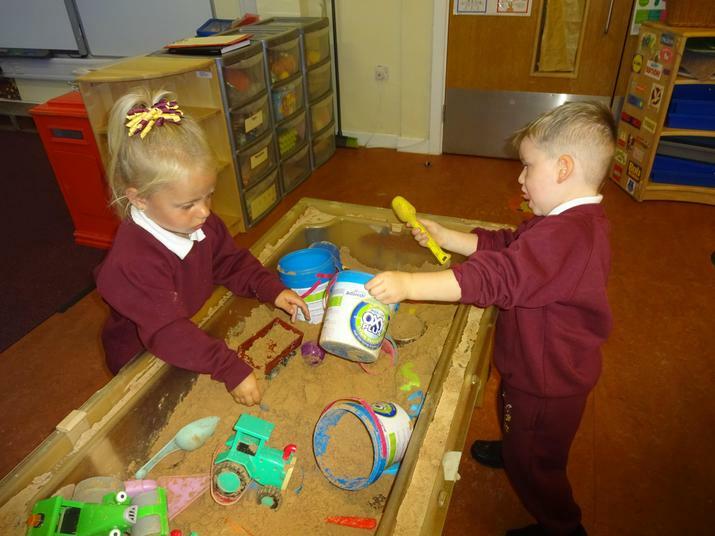 We have two nursery sessions available. 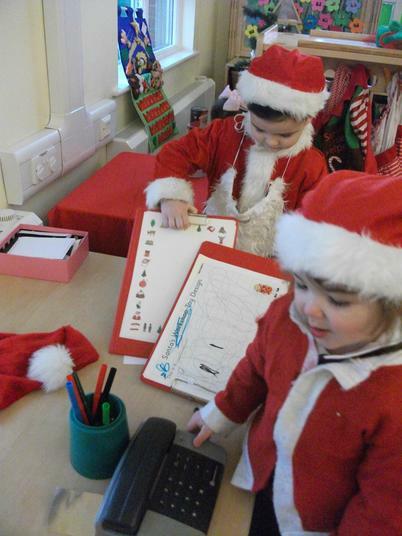 The morning session is from 8.45 to 11.45, and the afternoon session is 12.00 - 3.00. 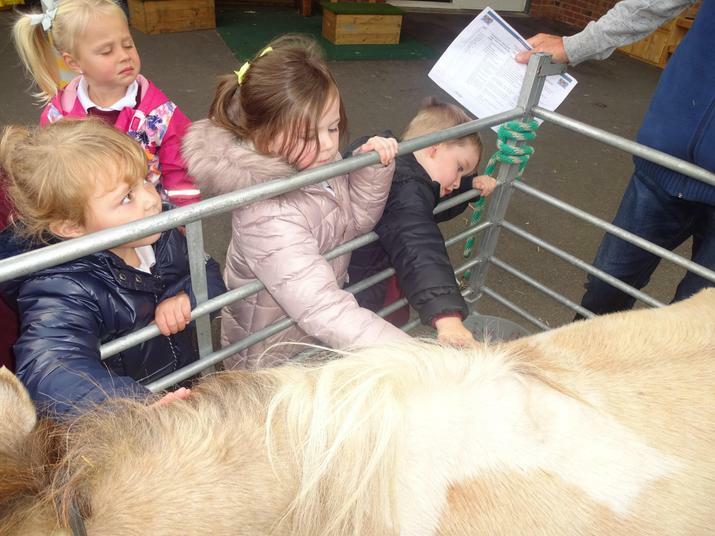 We are pleased to be able to offer 30 hours free education and care for working parents, Please visit https://www.childcarechoices.gov.uk/ to check your eligibility. 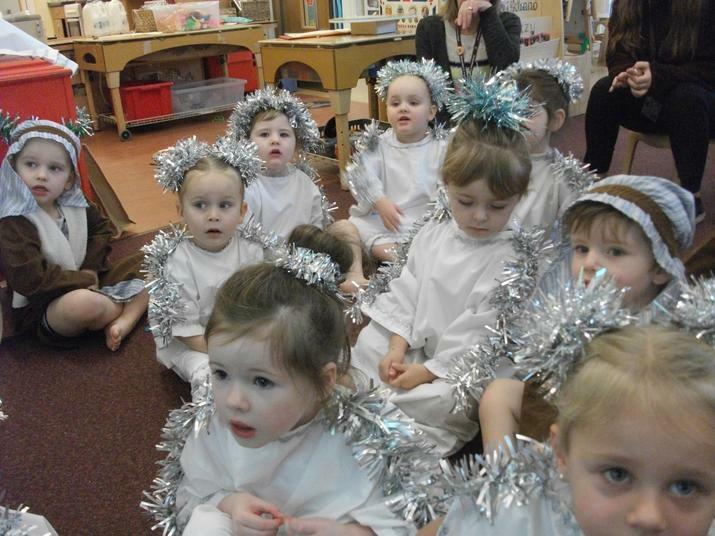 Also additional childcare can be provided at a cost of £8.00 per session. 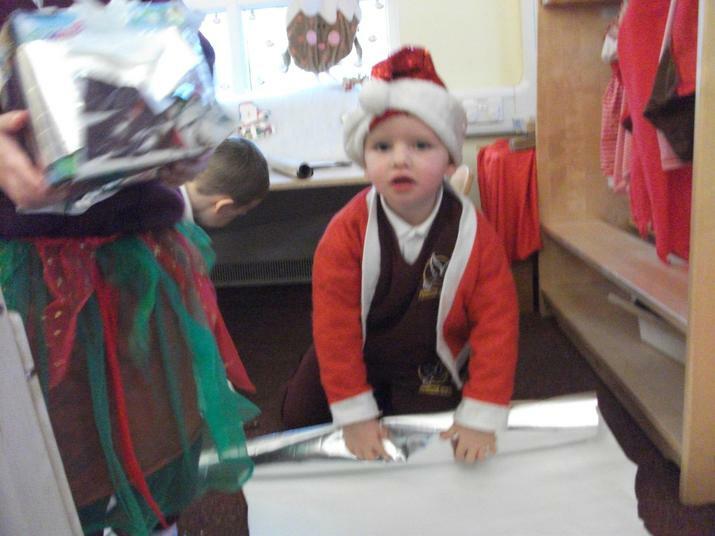 All our extra sessions are subject to conditions and availabilty. 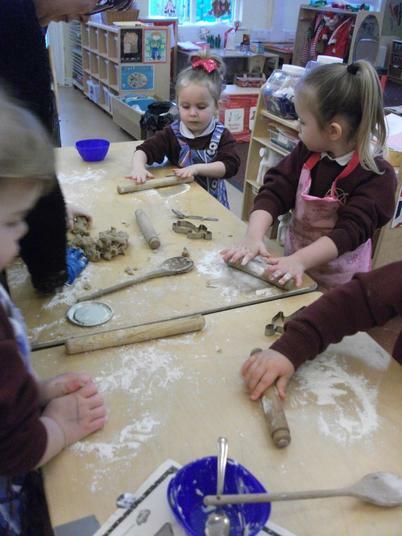 More information about the 30 hours ,termly news letters and useful documents about your child's early learning and development can be found at the bottom of the page. 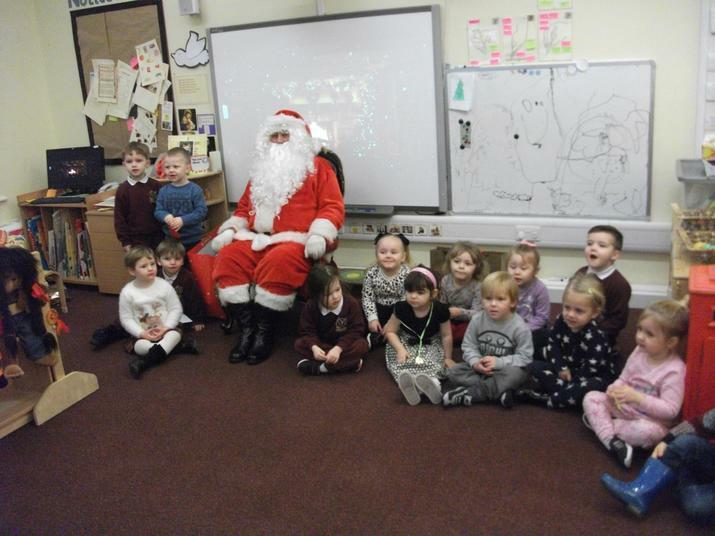 Hard copies are available on request from the school office. 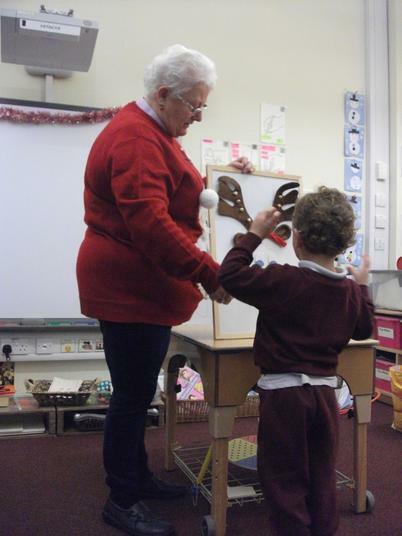 Miss Broadfoot - Nursery Nurse (responsible for our pre nursery group and 30 hour provision). 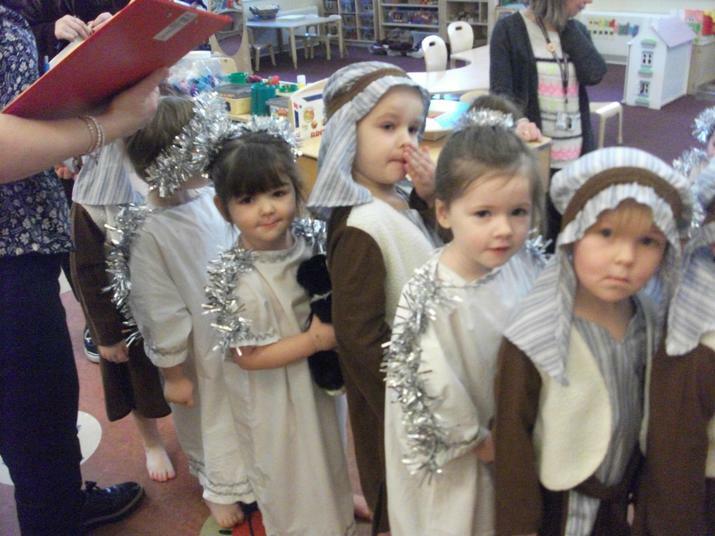 Please fill in a registration form collected at the school office , or you can request a form via email. 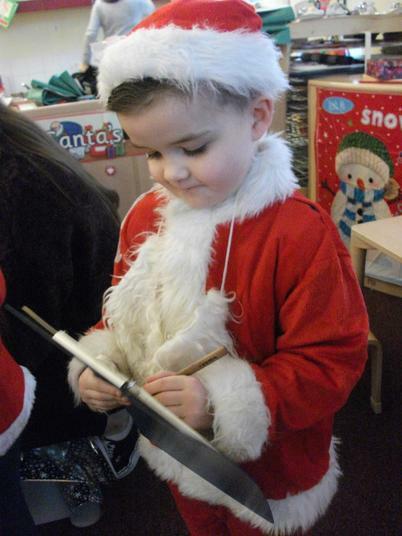 We will also need to see your child's birth certificate, as part of the application. 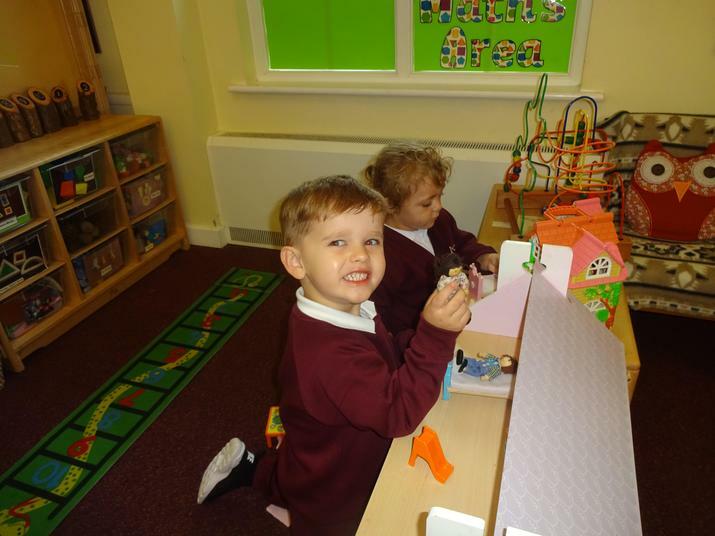 Your child will be able to start nursery the term after their third birthday. 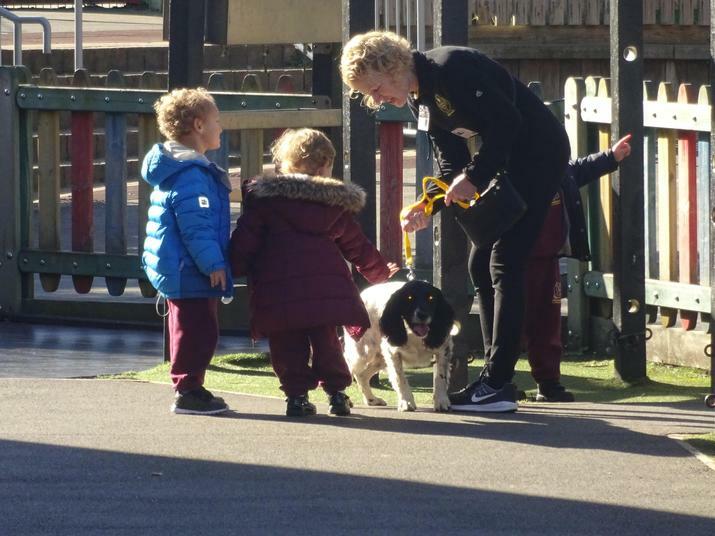 Before your child turns three, you will be invited to attend link up visits, to help us get to know each other, and ensure that our nursery can meet your child’s needs. 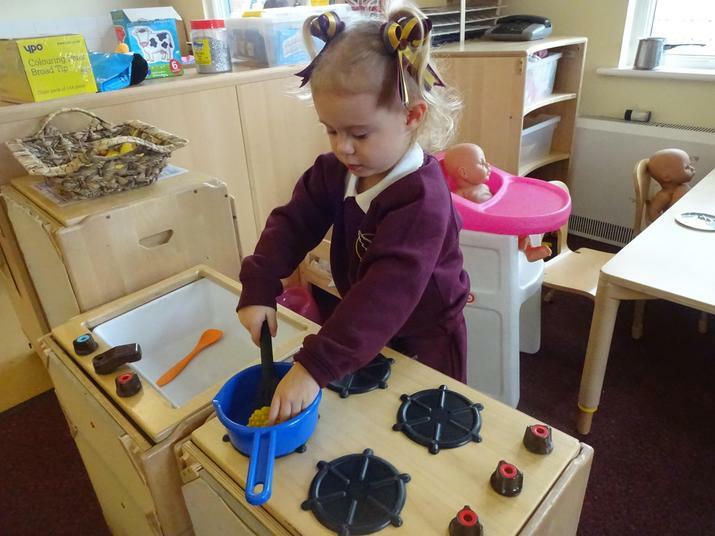 The next step is a home visit, when you will be given a nursery start date. 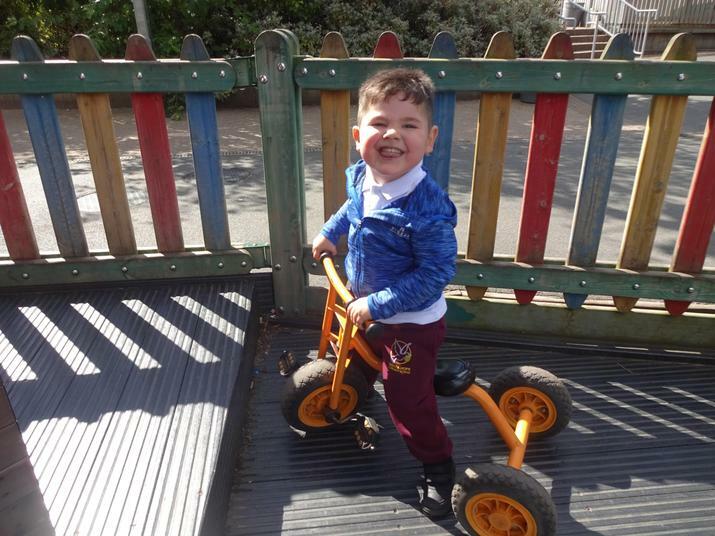 Children attending our nursery are required to wear a school uniform. 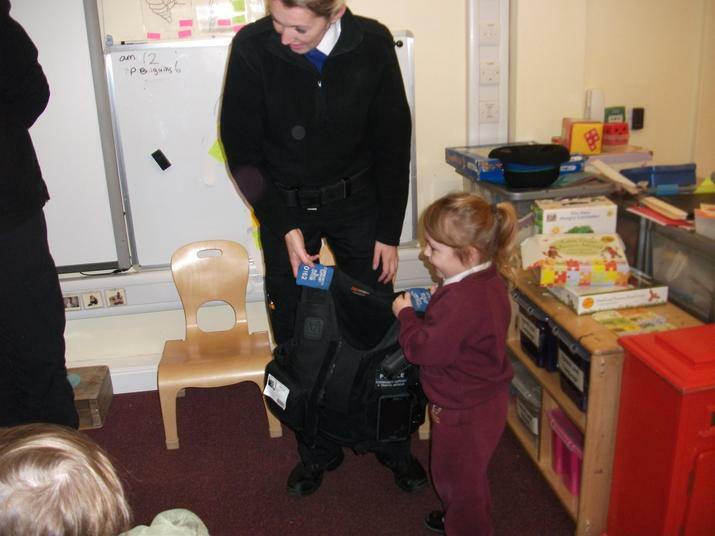 The uniform consists of maroon jogging bottoms, white polo shirt and maroon sweatshirt. 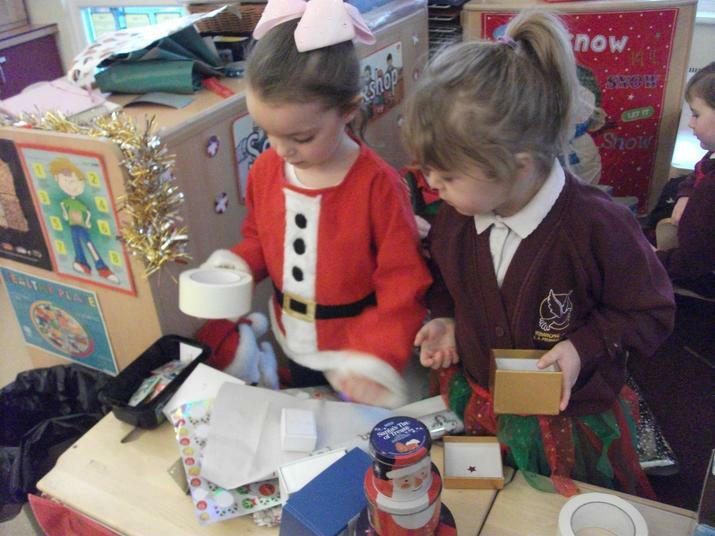 It can be purchased from Paul’s Place 272 Stanley Road, Bootle, L20 3ER. 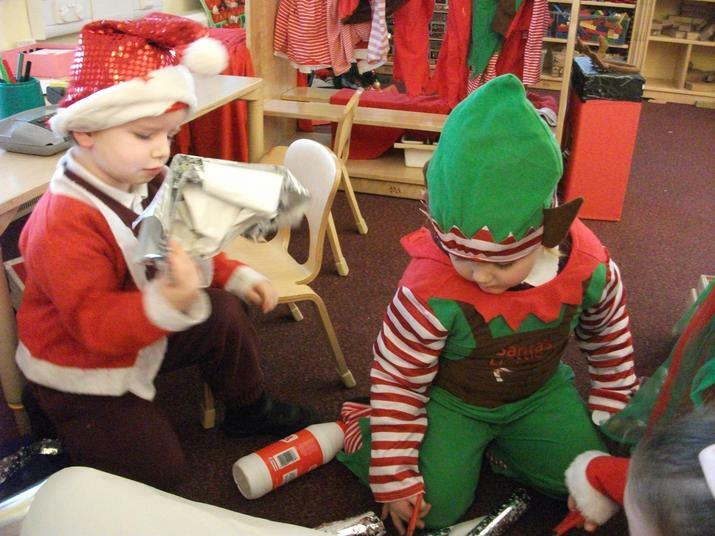 Tel: 0151 922 2472. 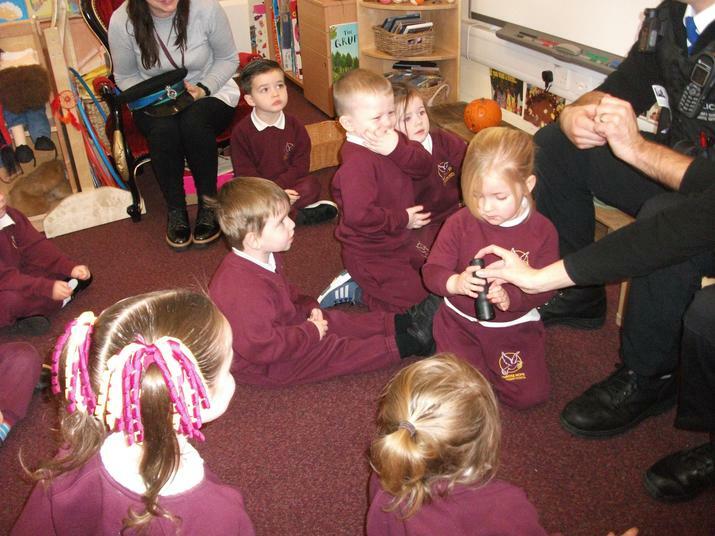 We also ask for the children to please wear Velcro fastening footwear. 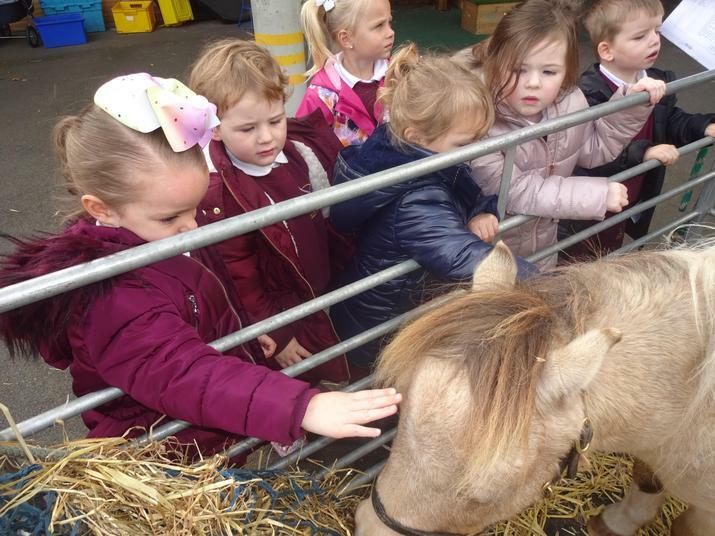 You are welcome to arrange a school visit at any time during the academic year, which can be booked at the school office. 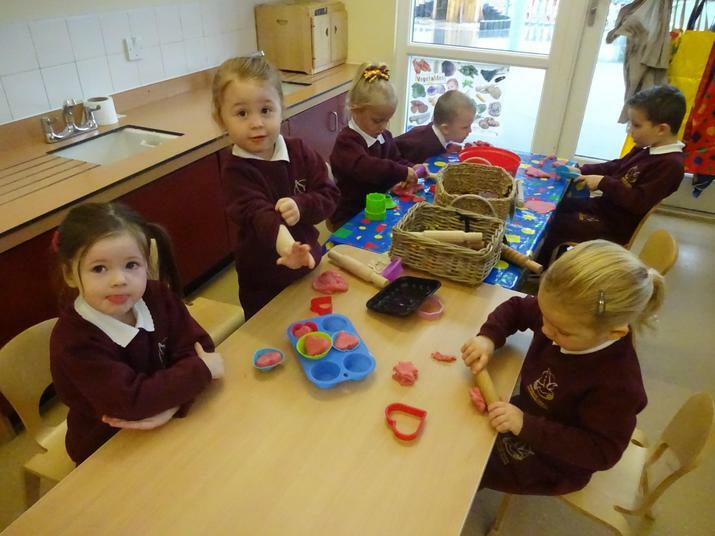 Please visit our class page to keep up to date with what is happening in nursery. 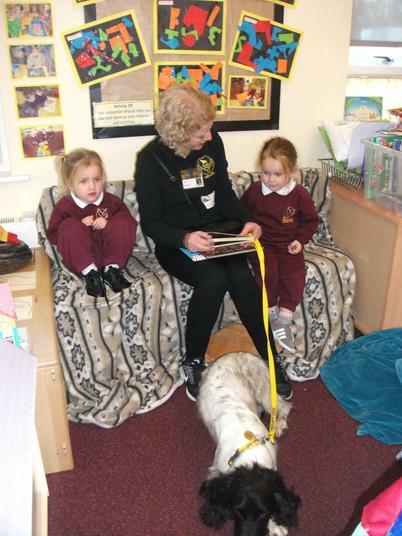 There will be regular newsletters and photographs for you to enjoy. 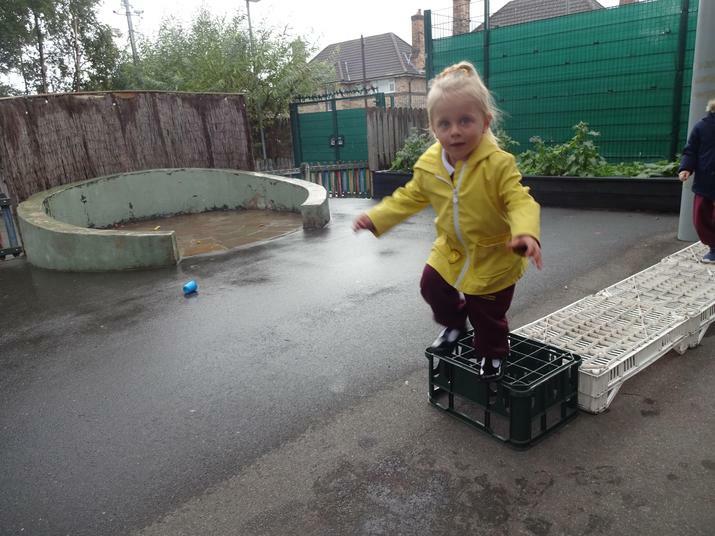 The Early Years Foundation stage curriculum provides a framework containing 7 areas of learning and a set of guiding principles. 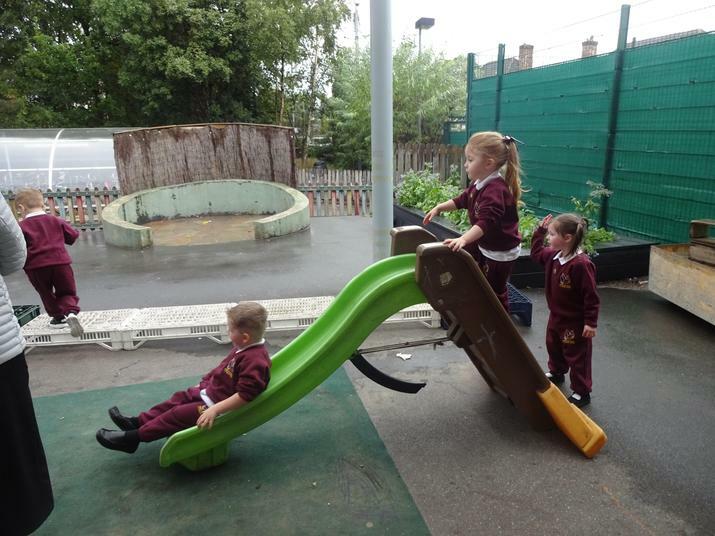 The curriculum as a whole reflects the belief that every child is a unique individual who can learn and develop through positive relationships and enabling environments. 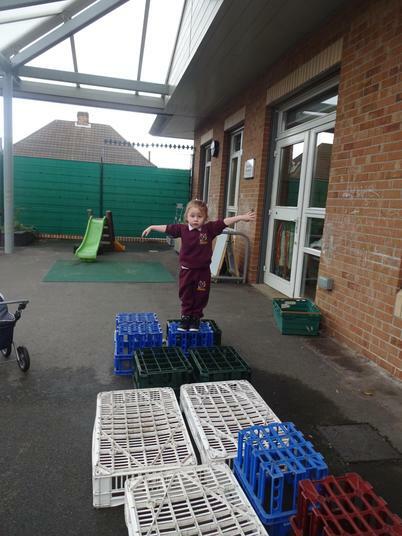 Children learn to feel confident in their own strengths and abilities. 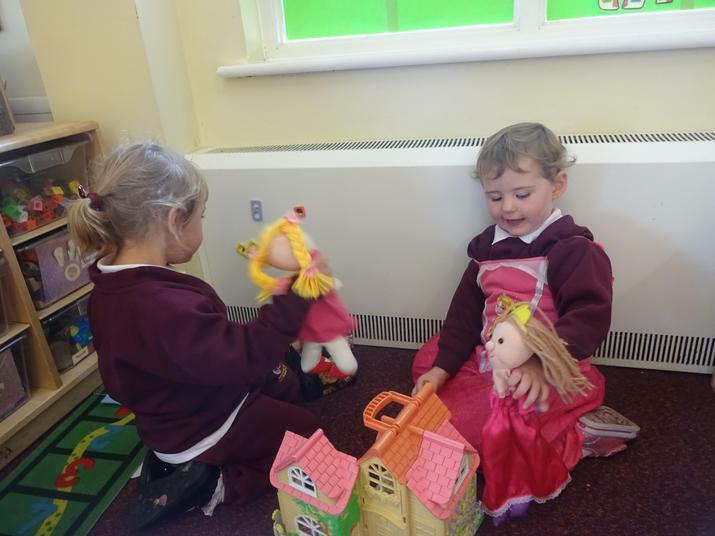 They learn to manage their feelings and share play with their friends, showing respect and kindness to others. 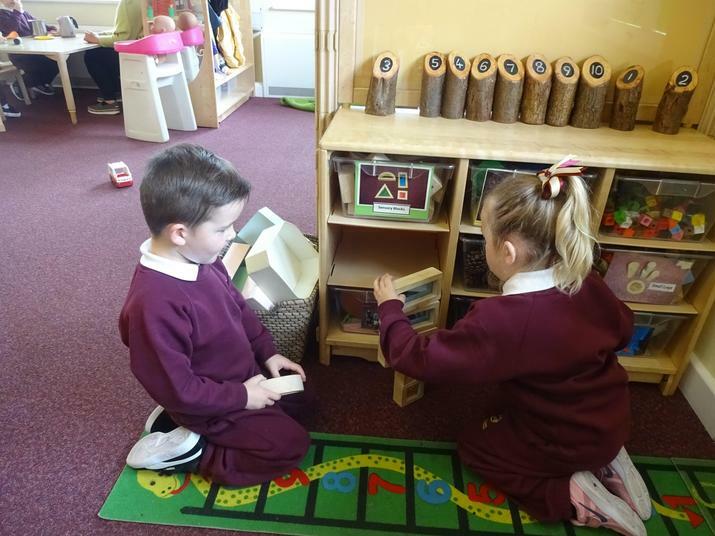 The Children have the opportunity to experience a language rich environment to help develop vocabulary and fluency.A child who can speak clearly and confidently will do well in school. 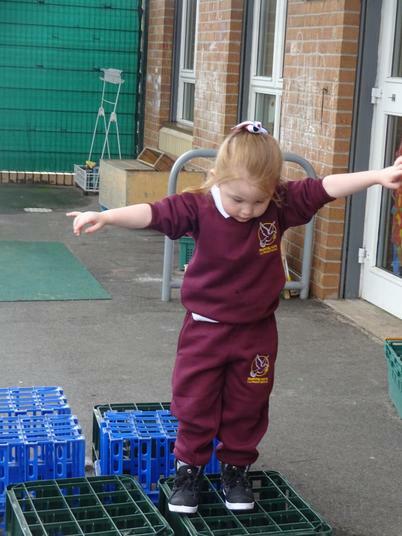 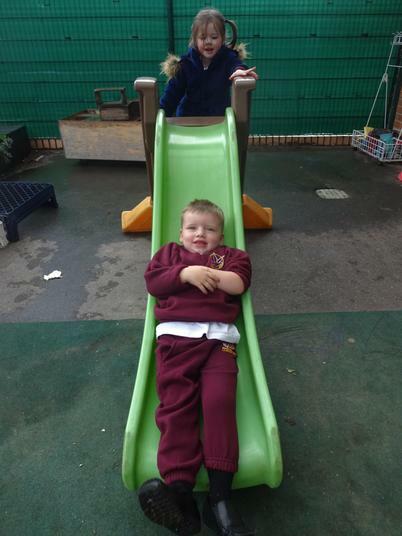 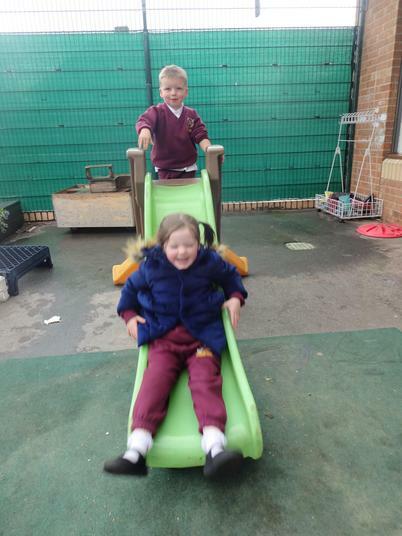 The Children have the opportunity to be active and develop their coordination,control and movement. 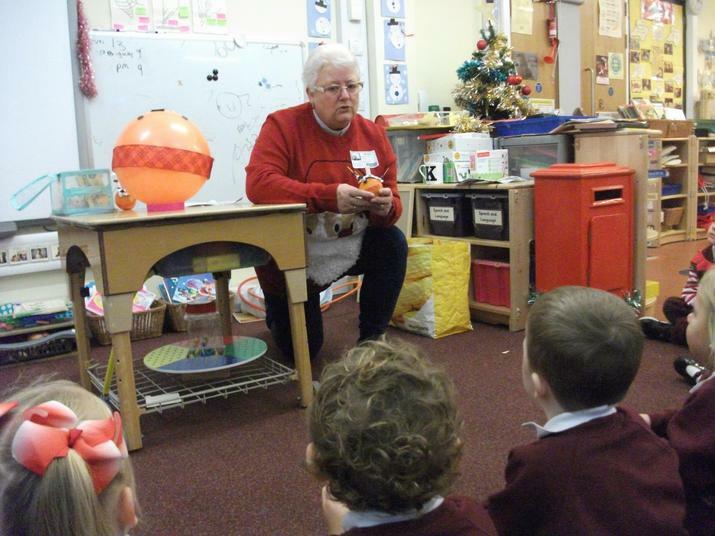 They are encouraged to learn vital self-help skills and the importance of healthy lifestyles. 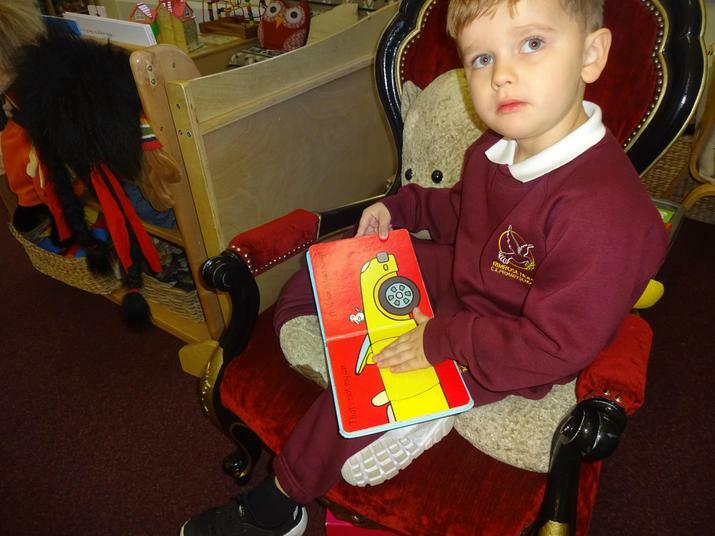 The Children take part in story time every day to develop their knowledge and love of books in readiness for learning to read independently. 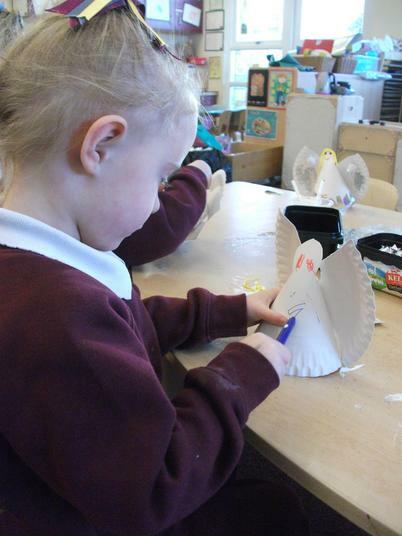 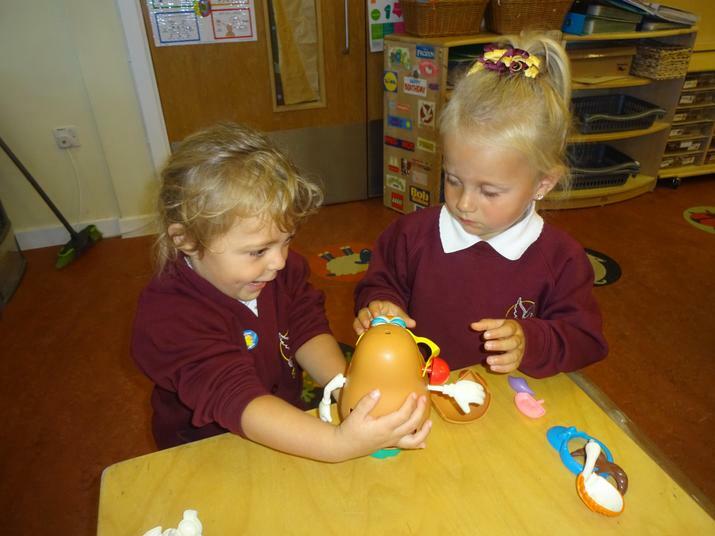 They learn to retell stories and rhymes using actions, props and role play. 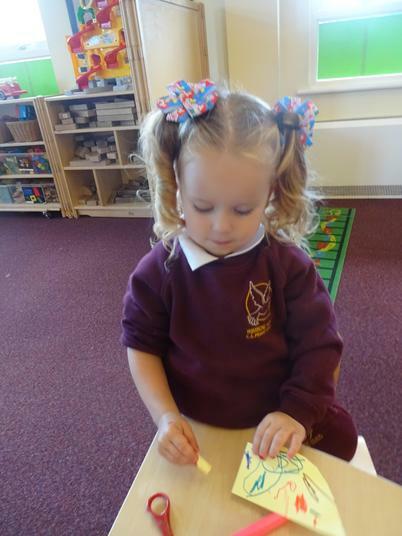 The children are taught to link sounds and letters using a structured approach proven to be effective in teaching early reading skills. 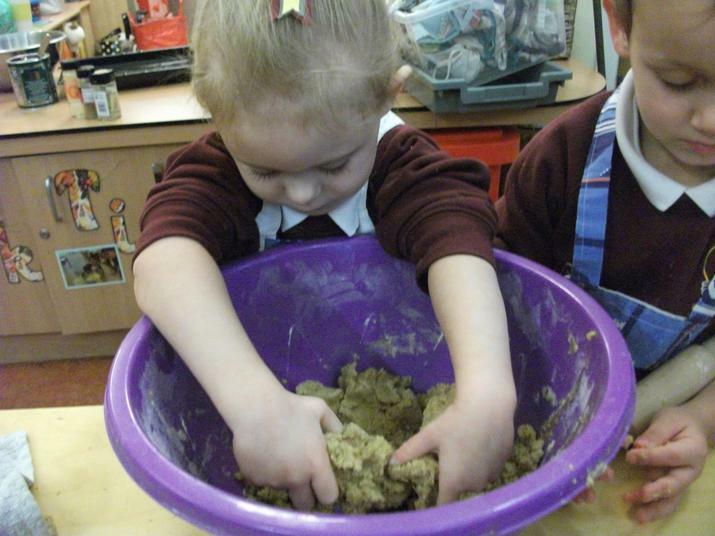 The children will begin to 'write' by making marks that carry meaning.We provide lots of opportunity to develop hand strength and hand/eye coordination. 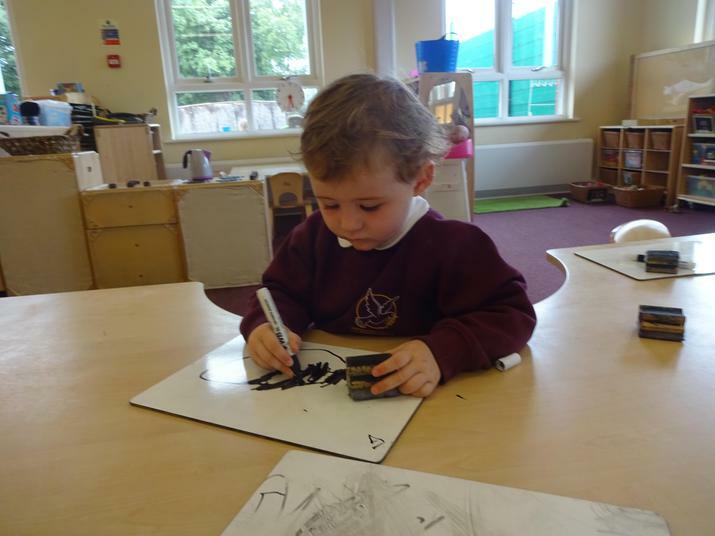 This ensures our children have the physical skills needed to develop their drawing and writing. 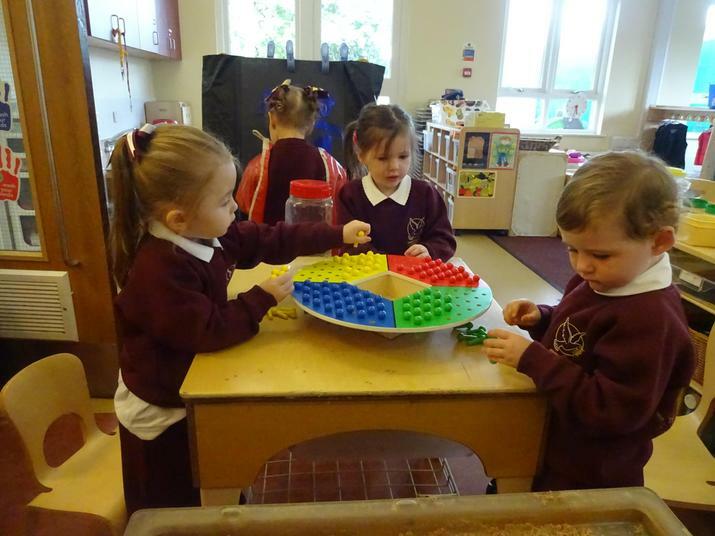 The children have the opportunity to develop early maths skills in counting,estimating,problem solving and number recognition. 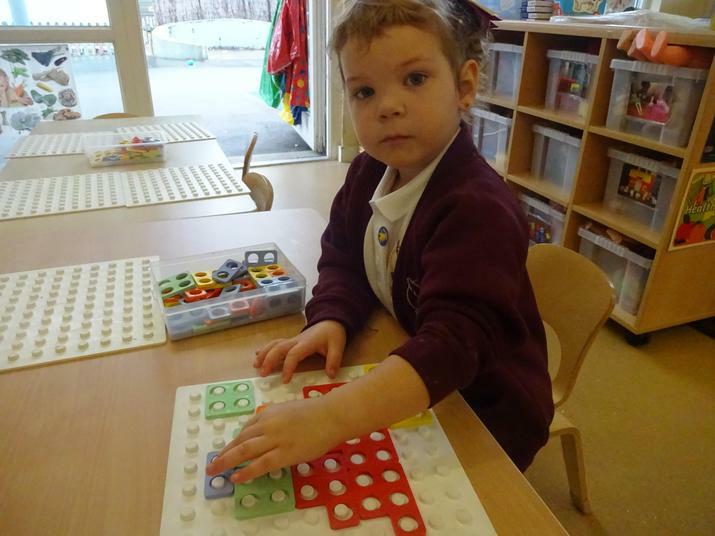 They will also learn to describe properties of shapes and patterns. 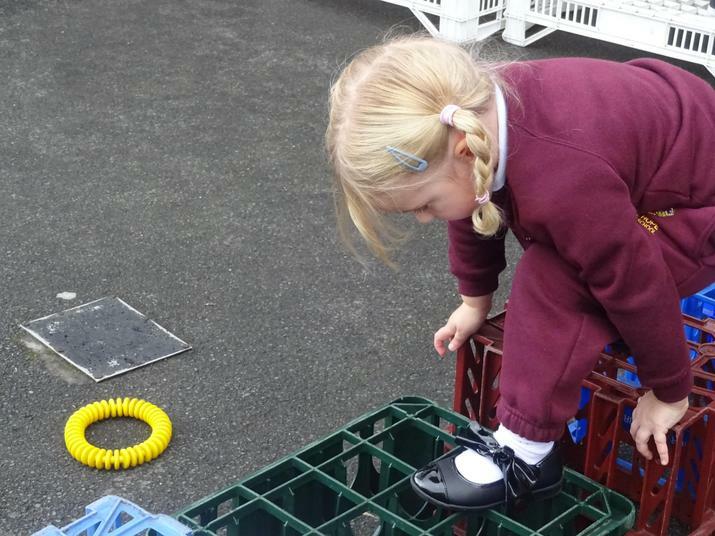 sense of their environment and community through exploration, observation and technology. 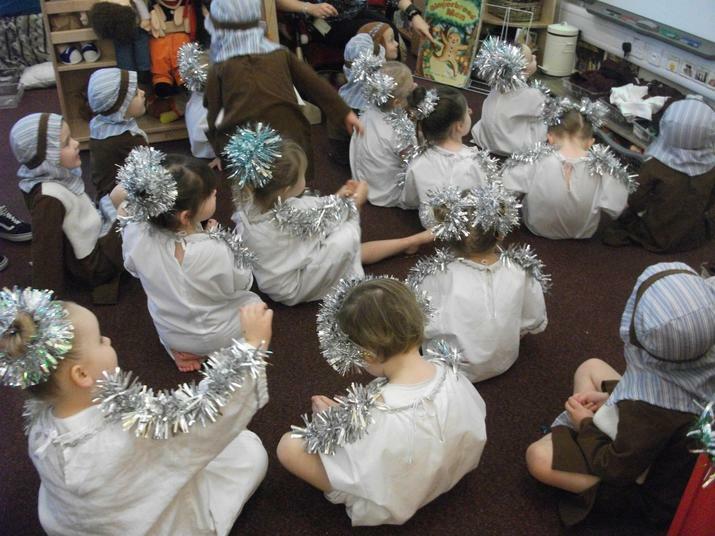 Children take part in art,music,dance, role play and design technology projects. 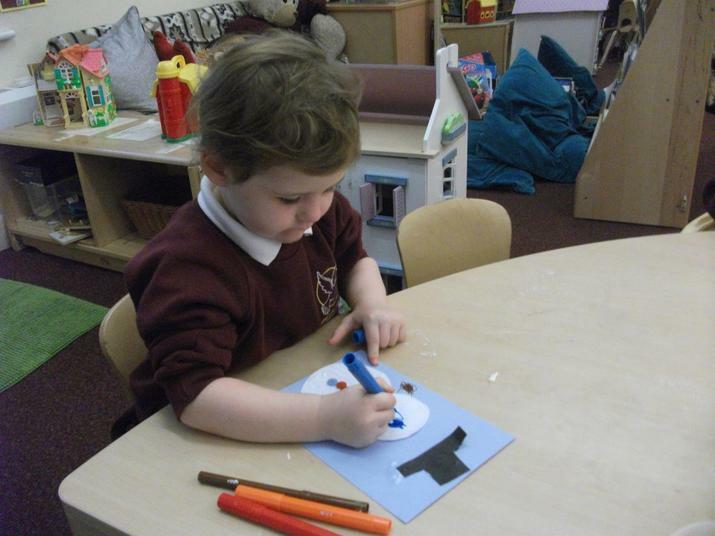 They have the opportunity to express their ideas,feelings and make choices from a range of media. 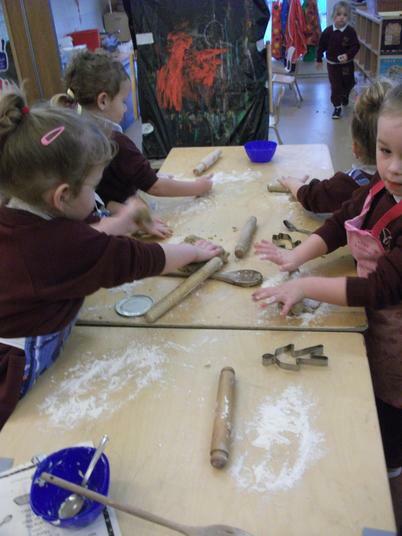 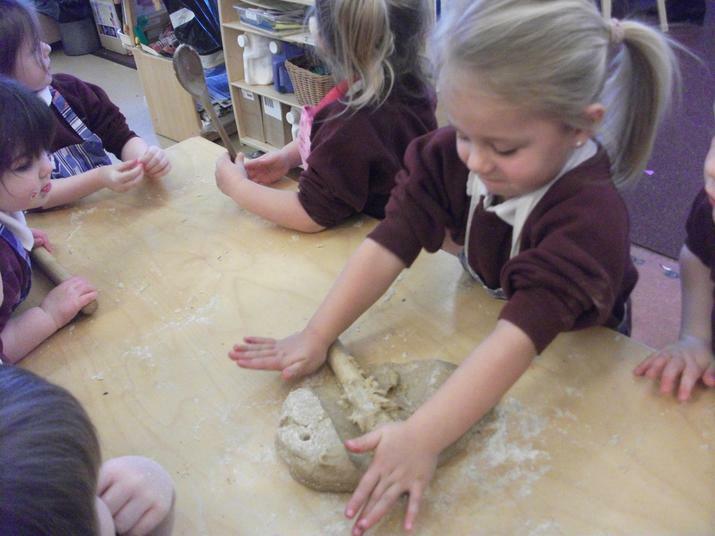 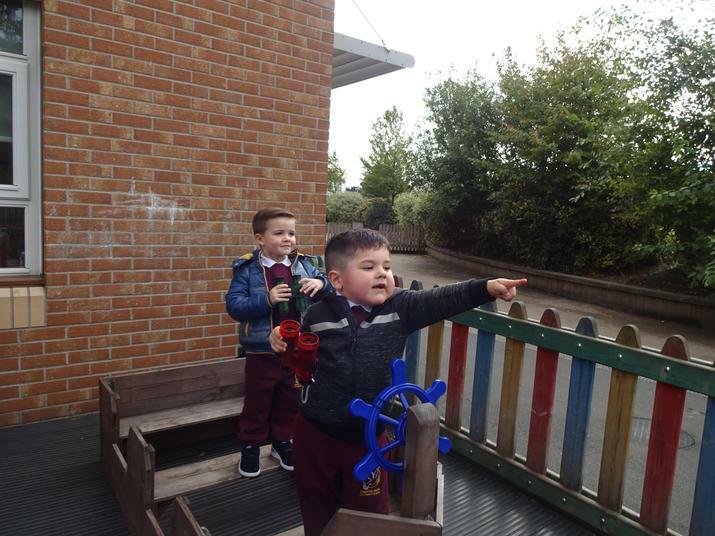 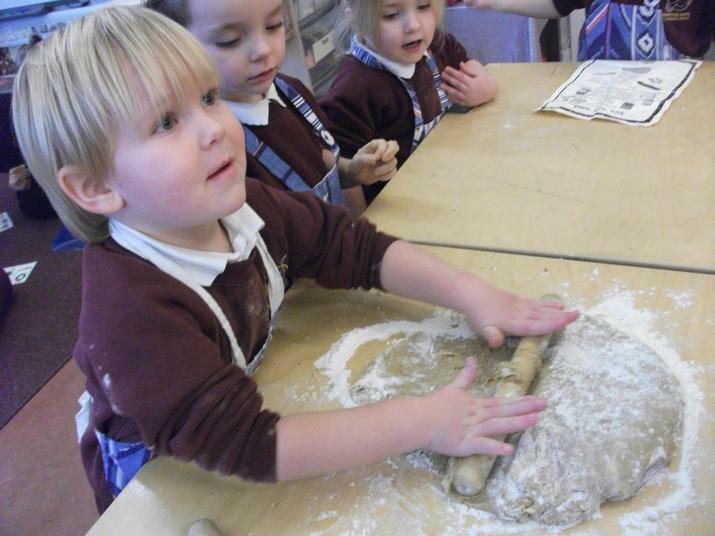 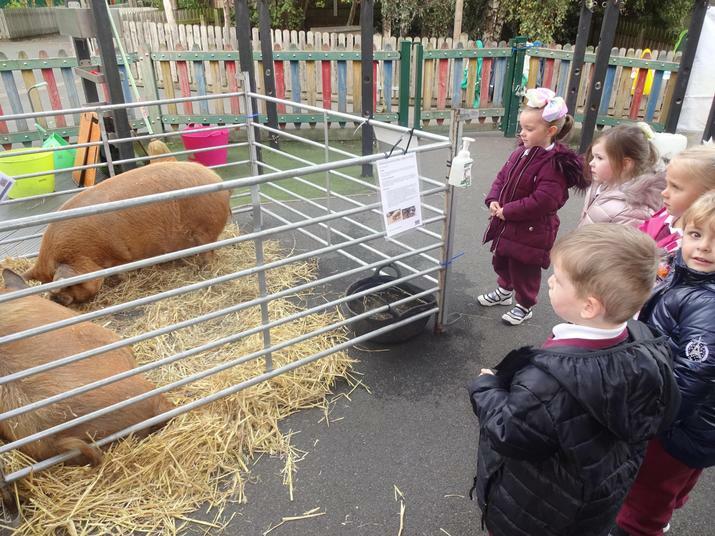 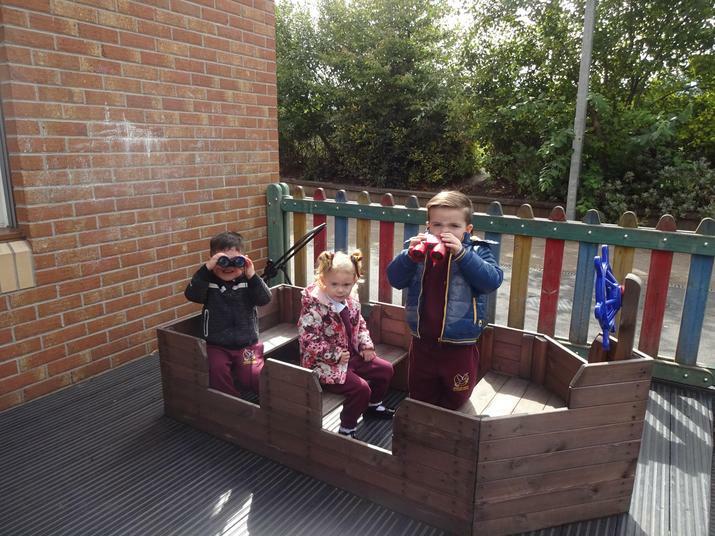 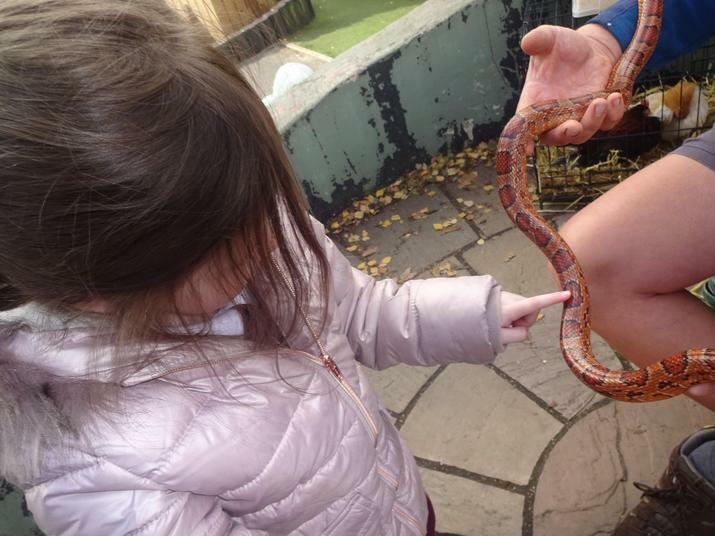 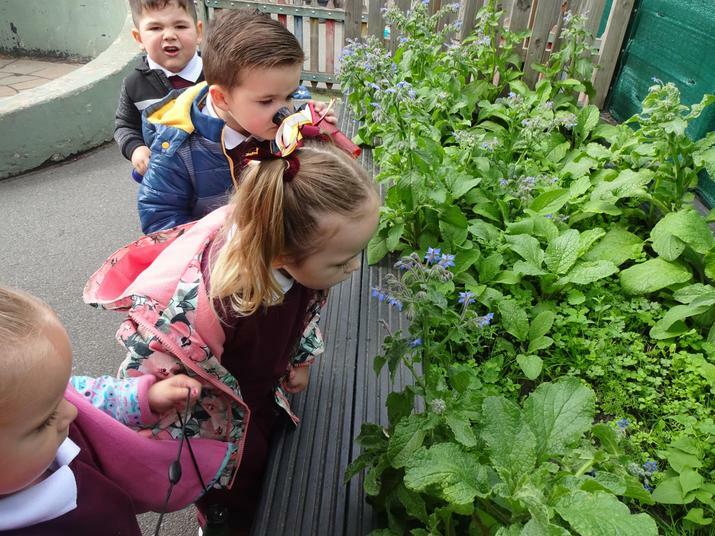 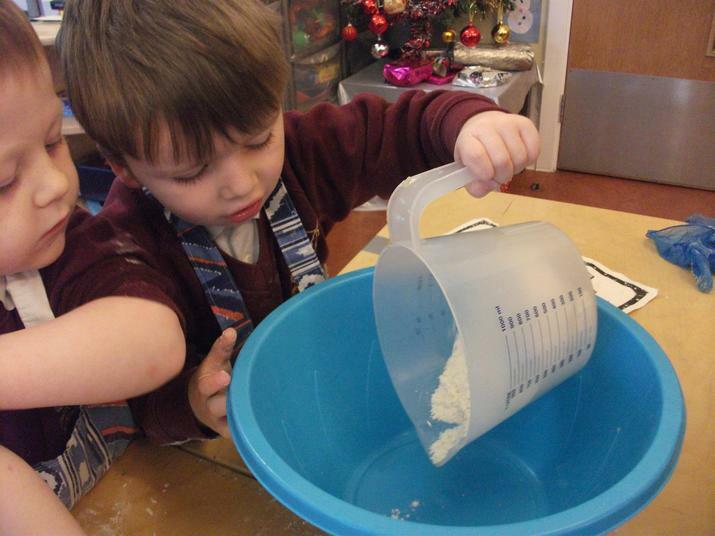 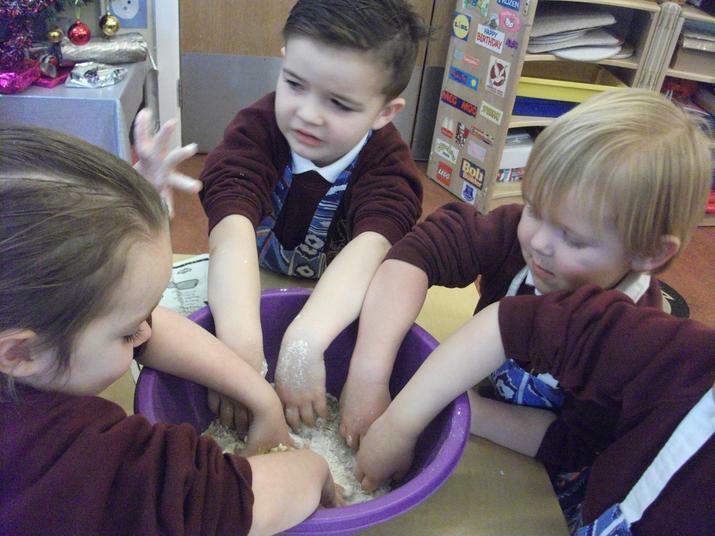 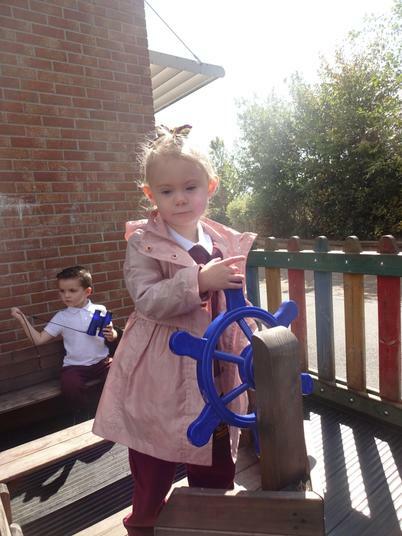 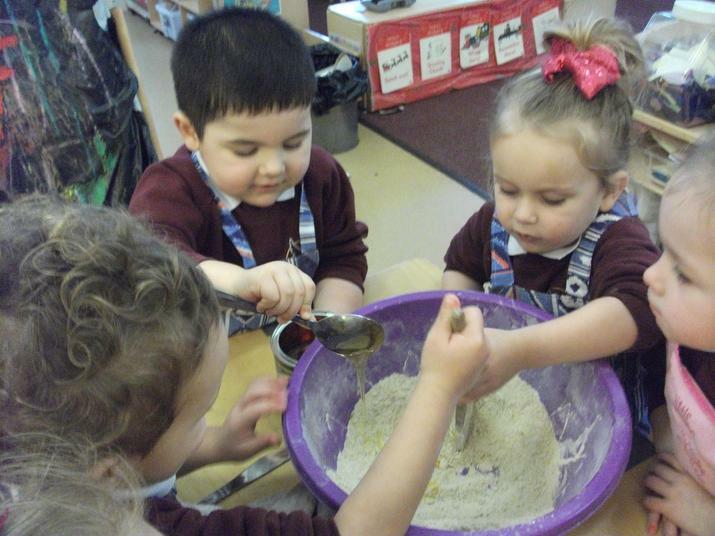 Have a look at our photo gallery showing pictures of the children enjoying their early years learning journey at Rimrose Hope Nursery. 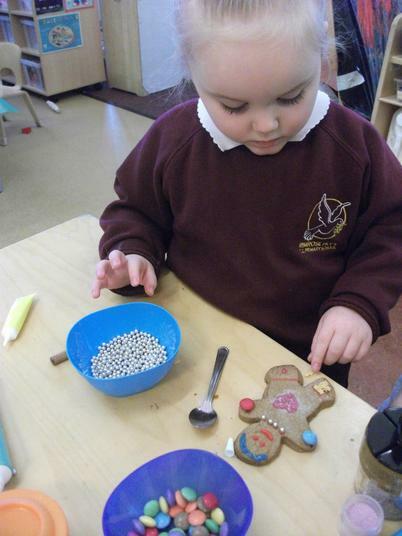 You can click on the links below to support your child's early learning and development. 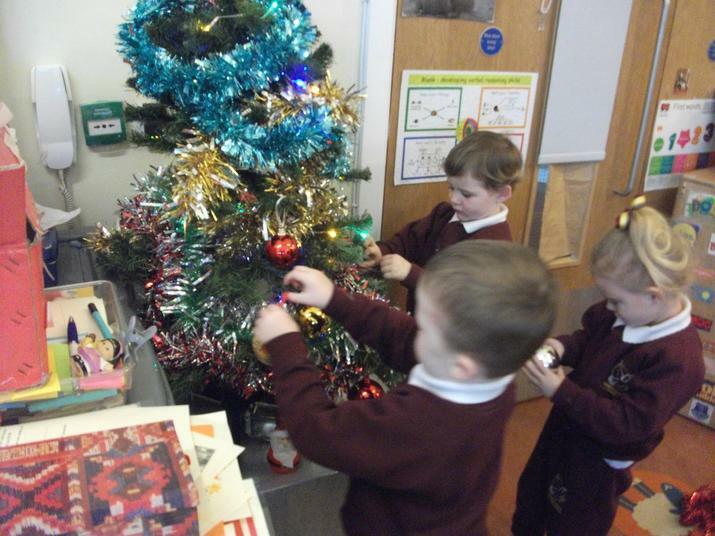 Hope they are useful your feedback is always welcome. 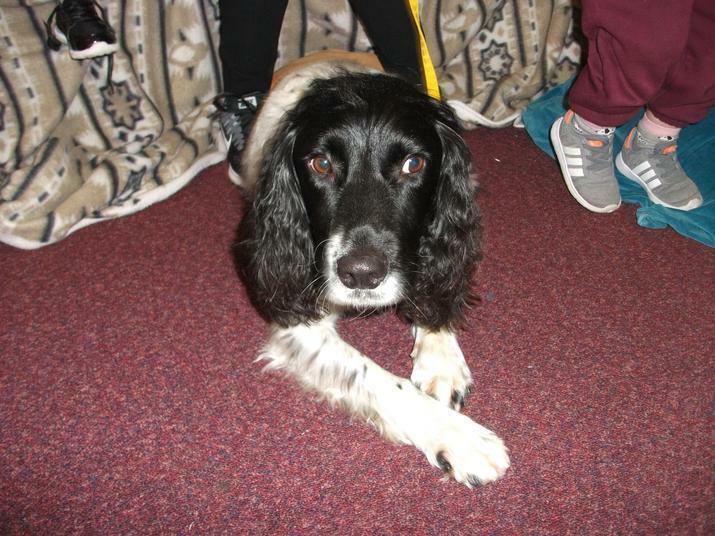 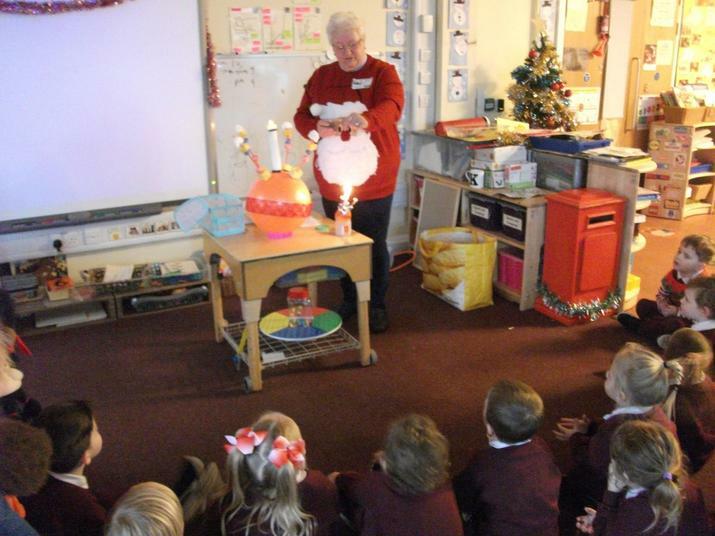 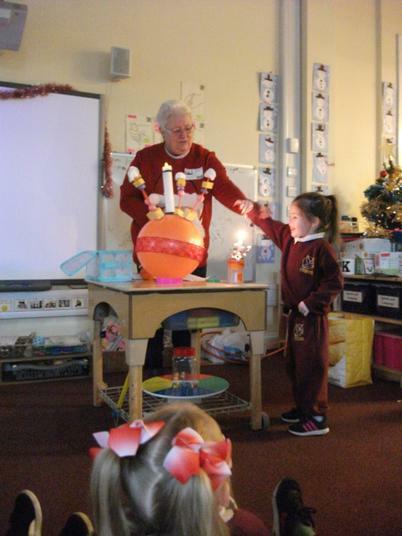 Special visitors: Christingle story with Rev Irene,community police officers,Eddy from pet therapy and Alldays farm. 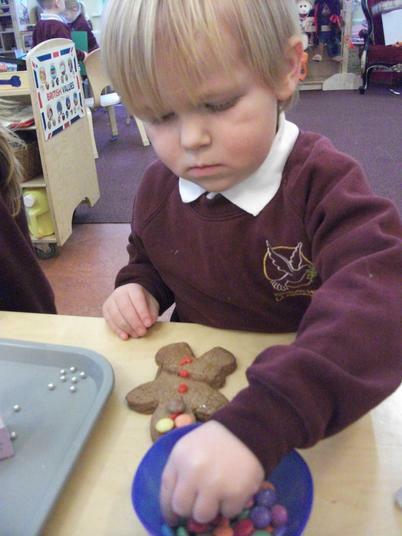 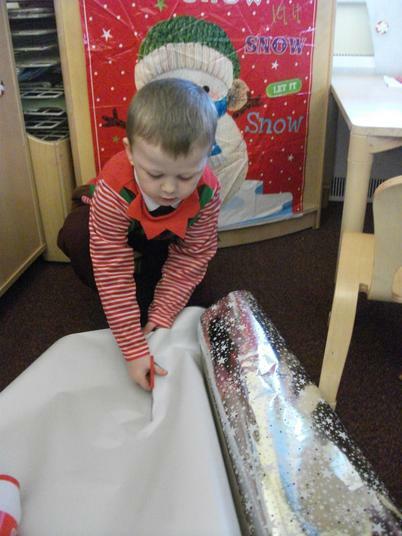 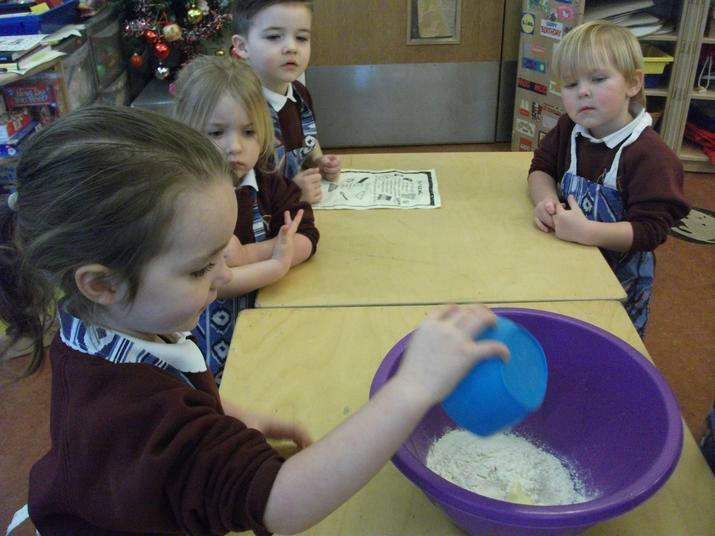 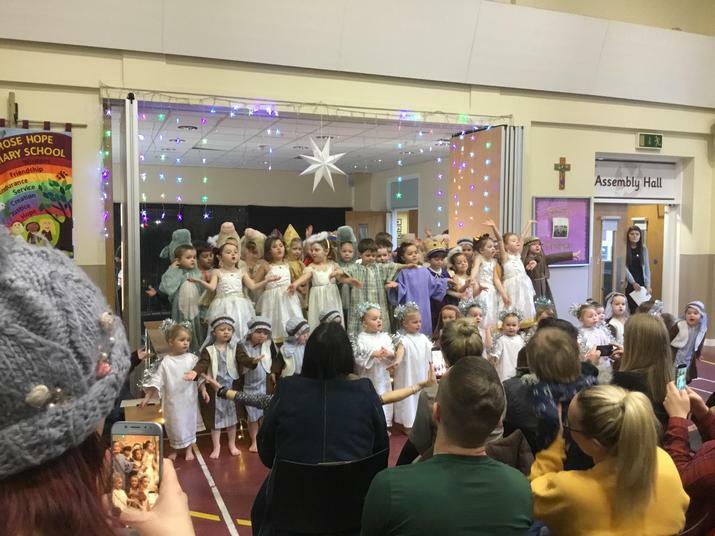 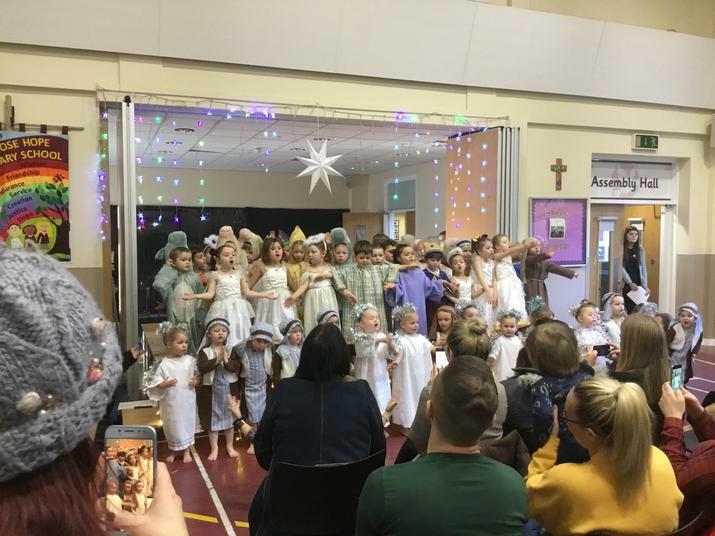 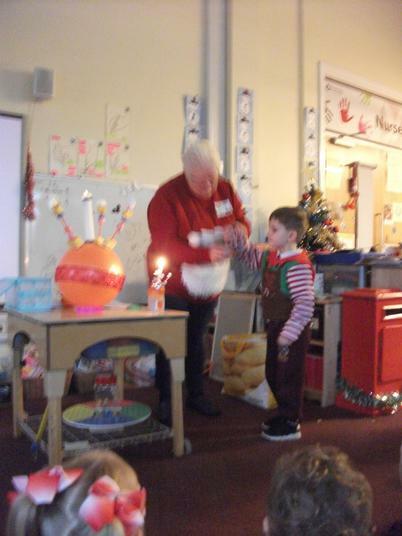 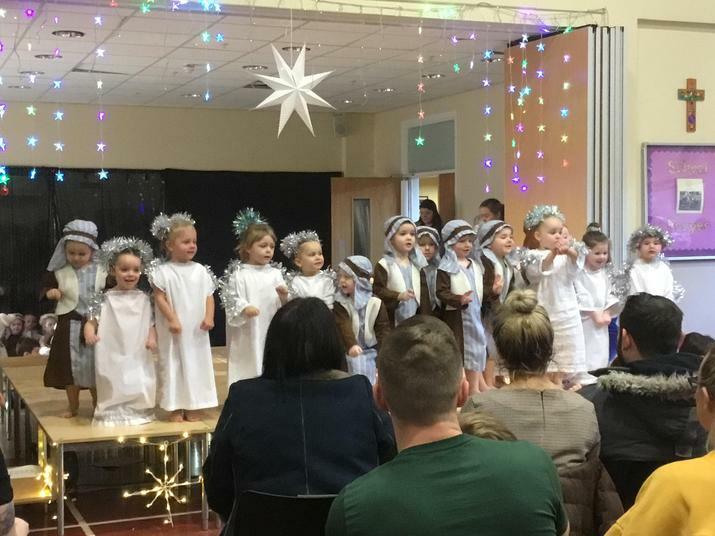 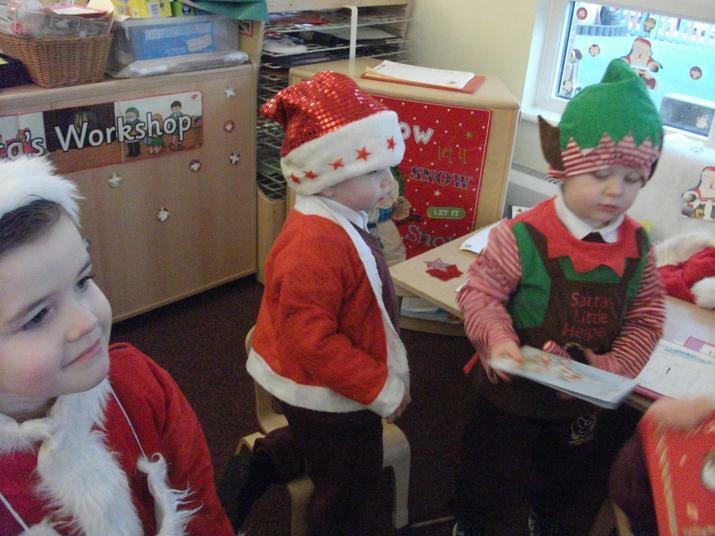 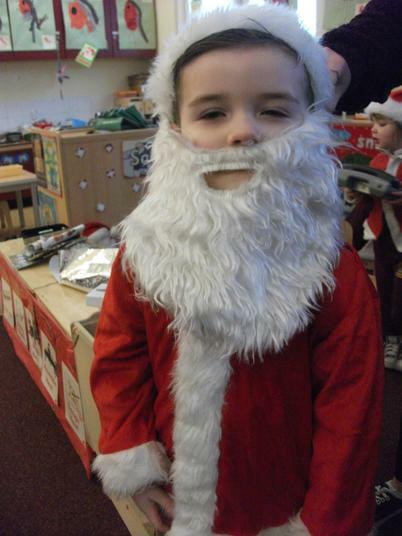 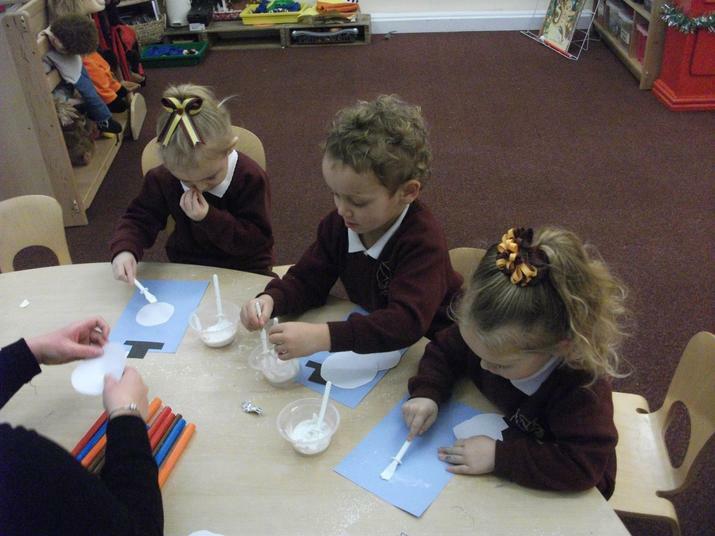 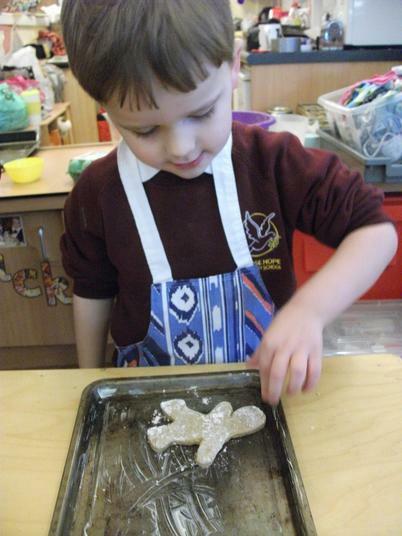 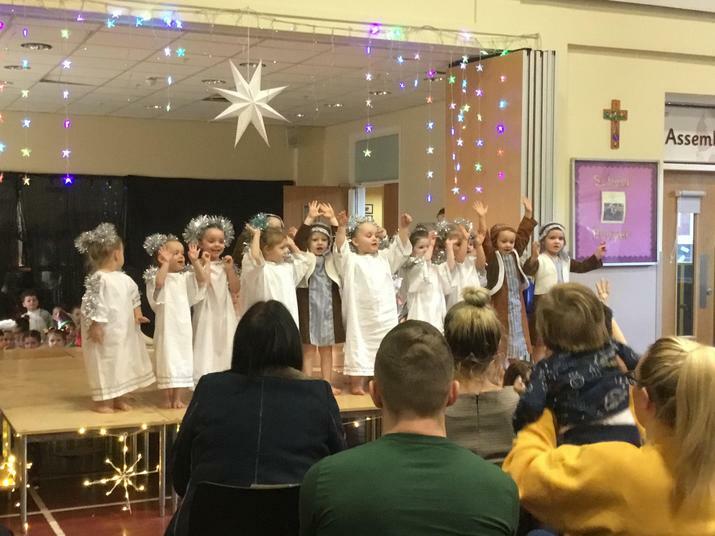 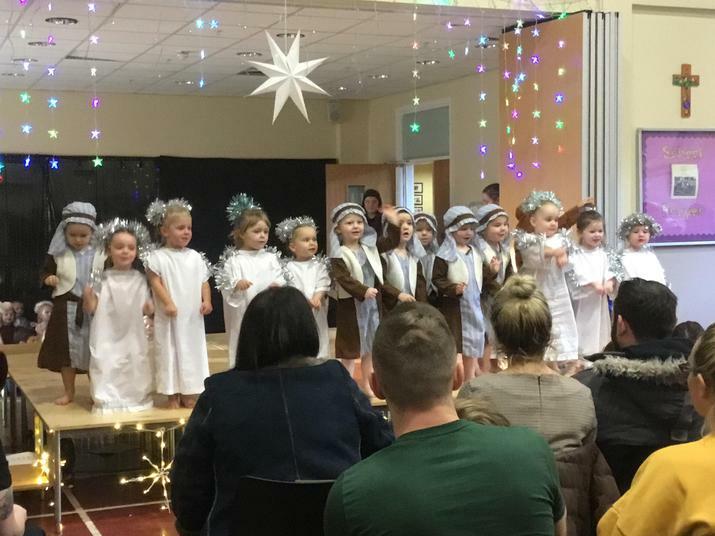 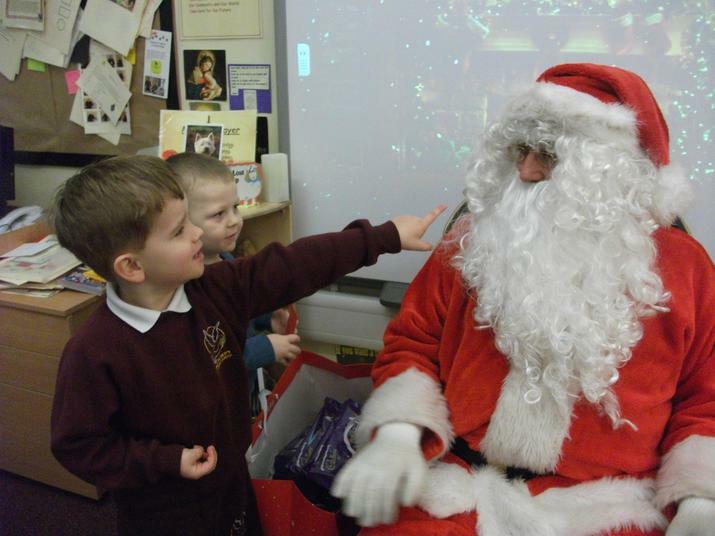 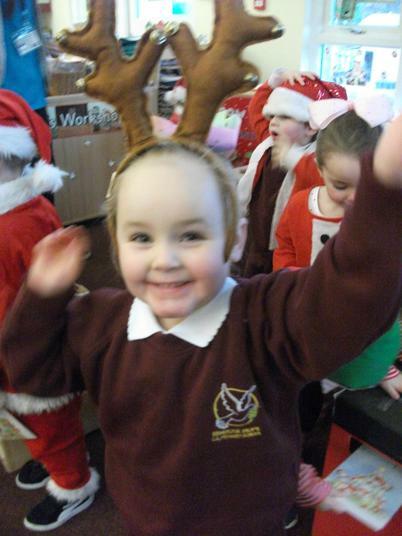 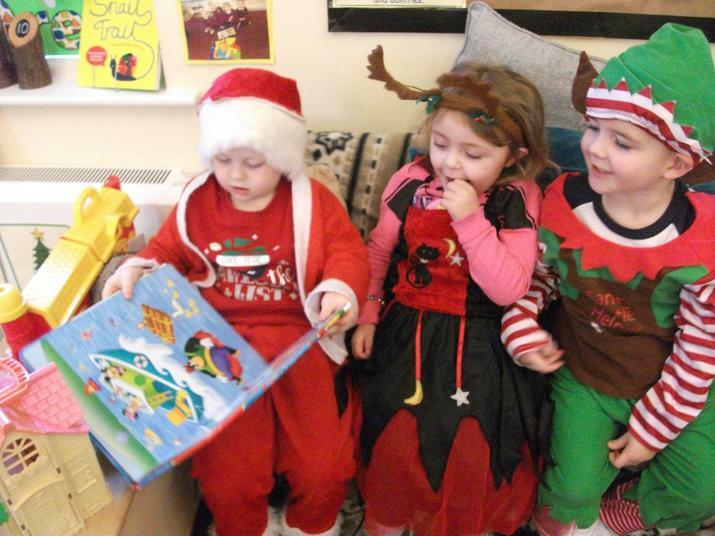 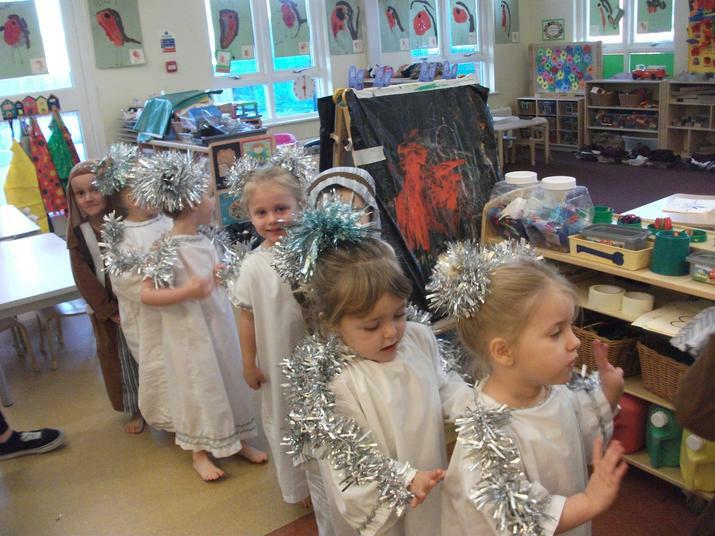 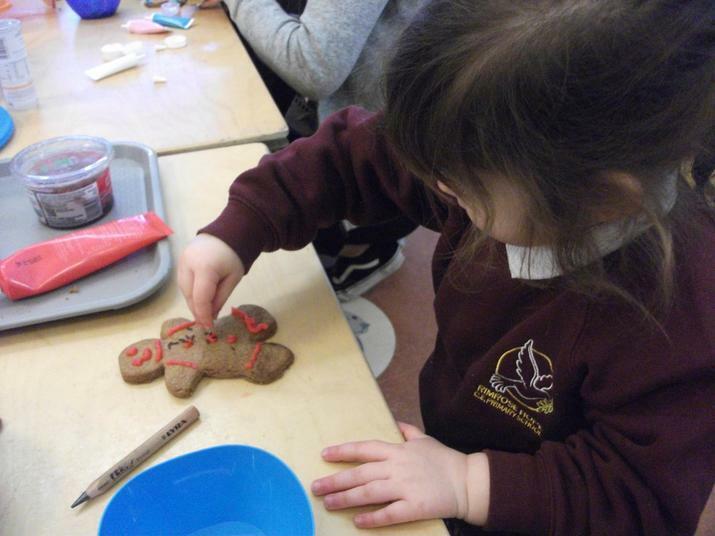 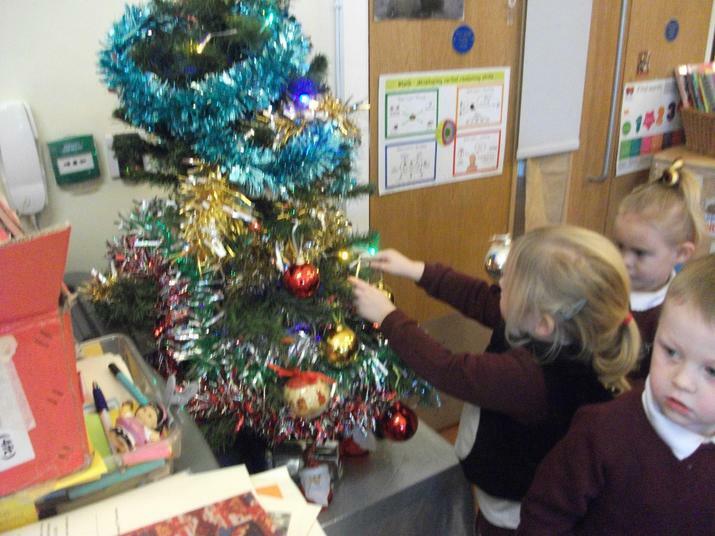 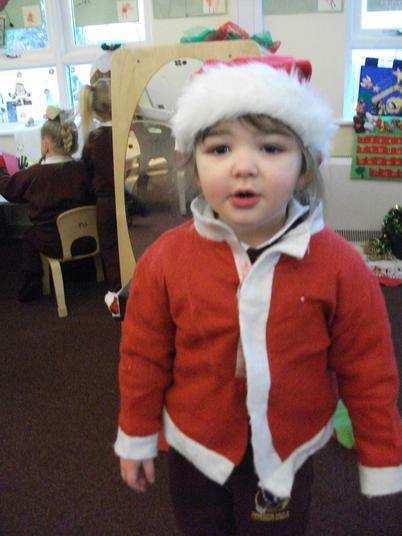 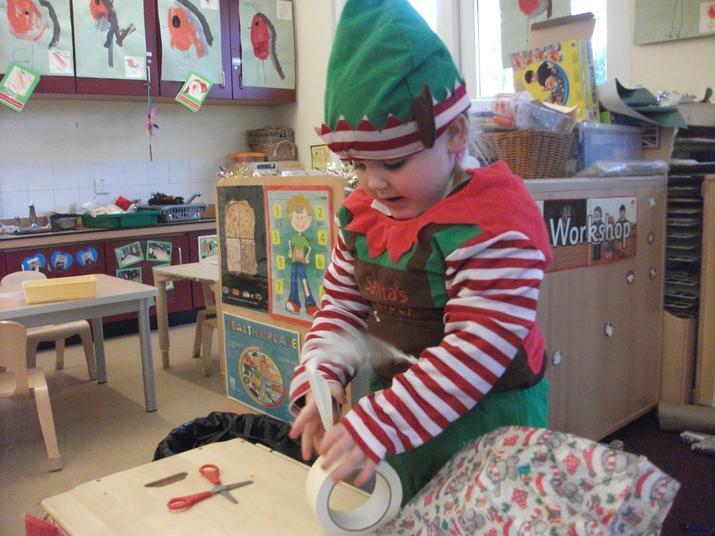 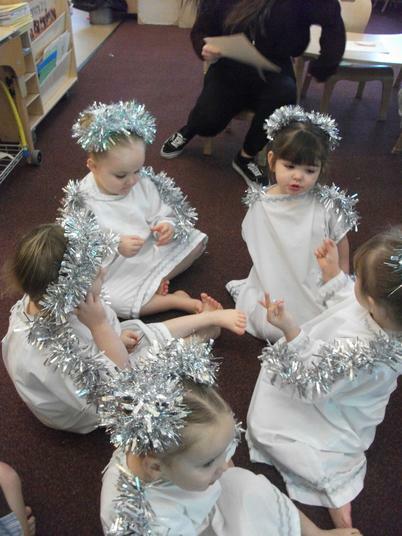 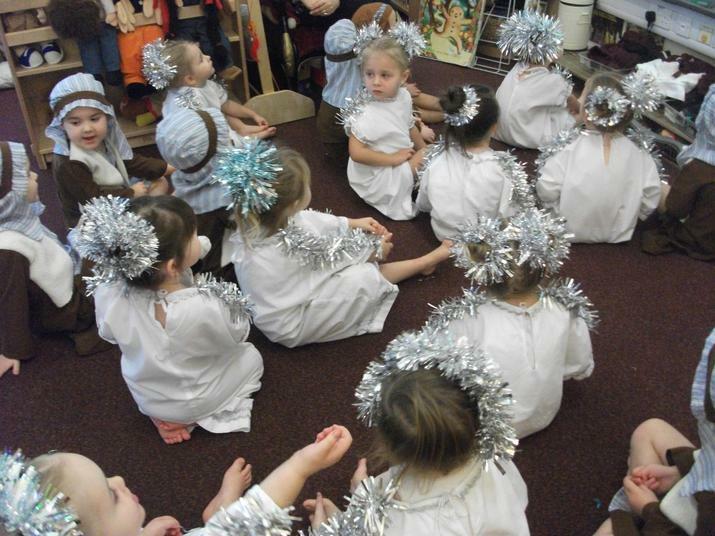 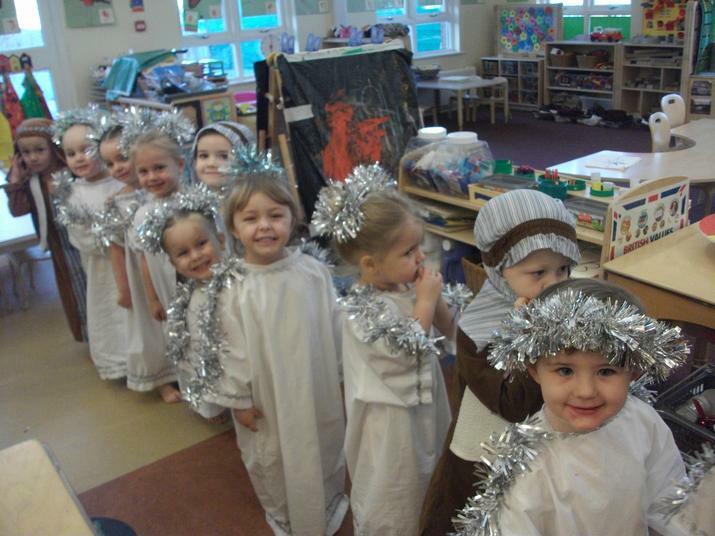 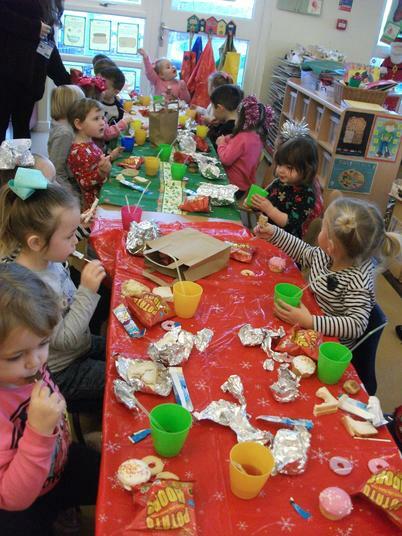 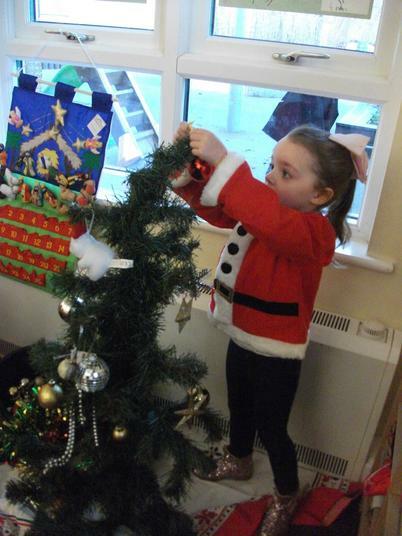 Nursery celebrate Christmas: Craft, baking, nativity , Santa's workshop,Christmas party and visit from Father Christmas. 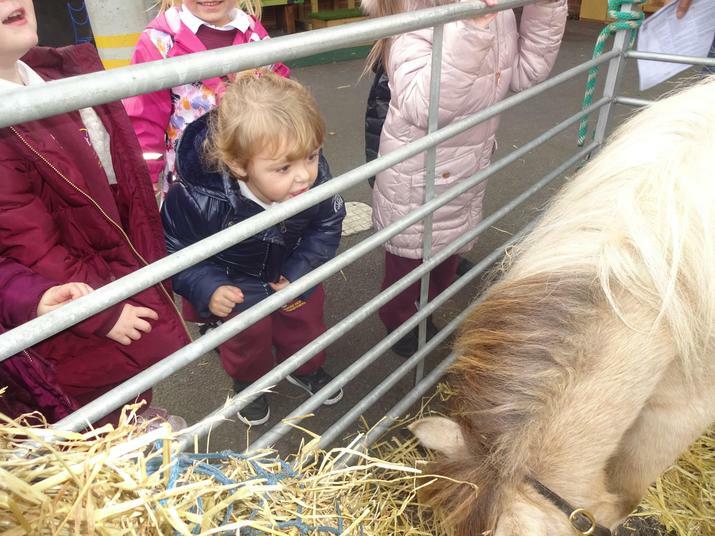 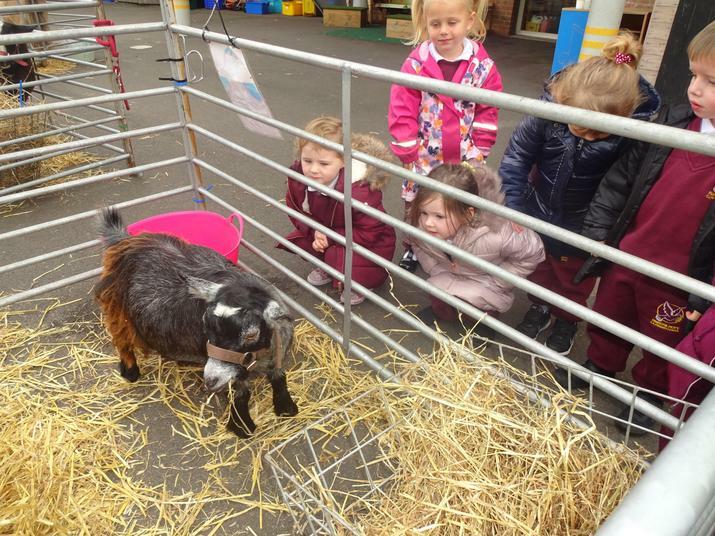 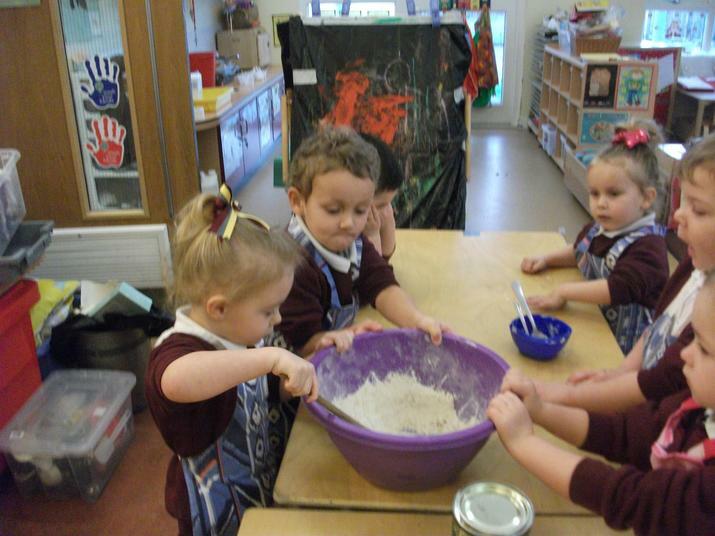 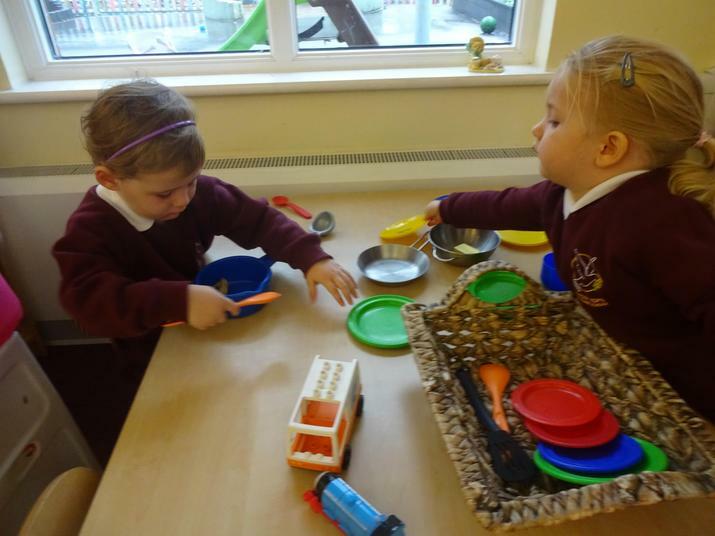 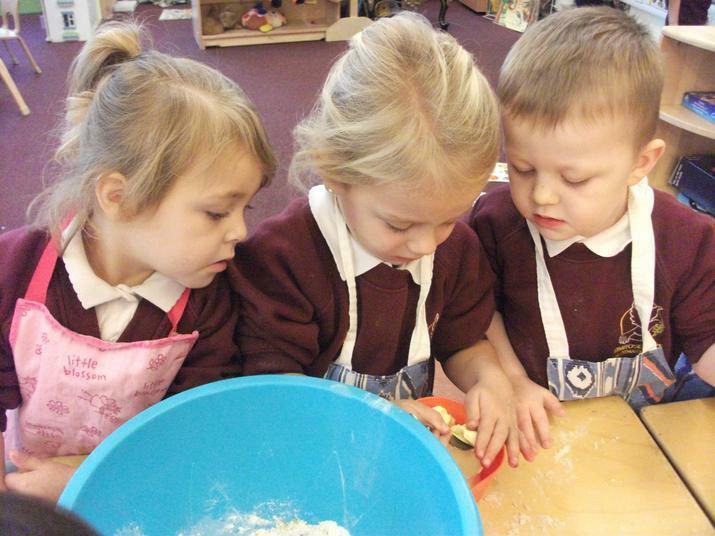 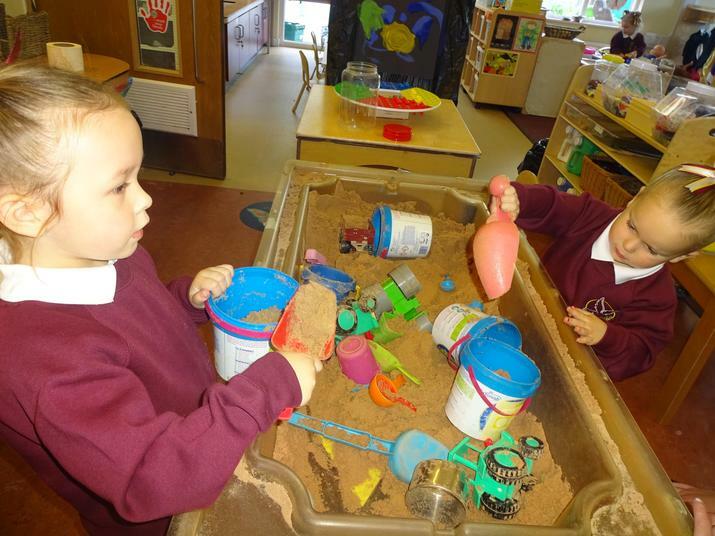 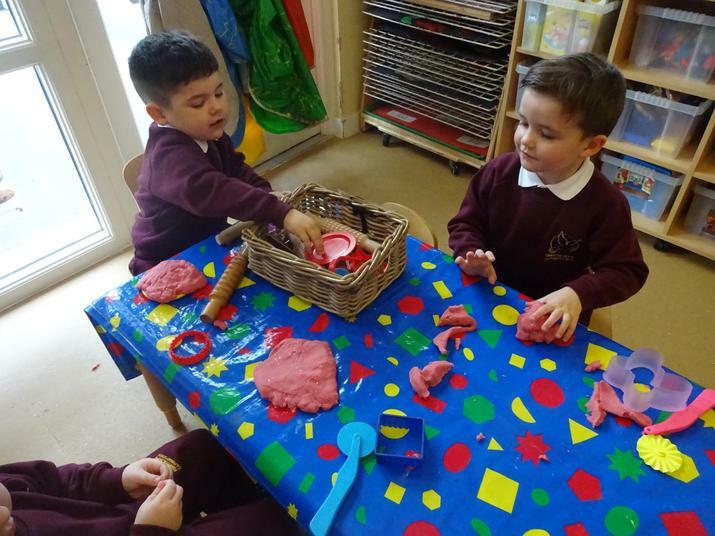 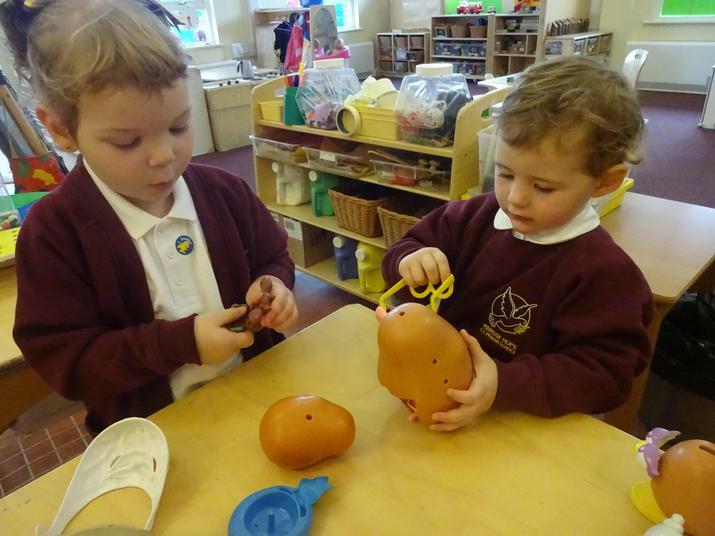 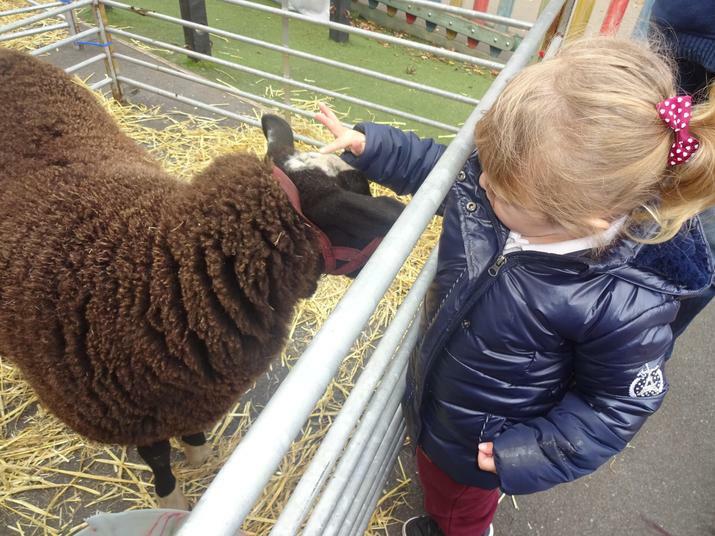 Settling into nursery : Exploring the learning environment and making new friends.